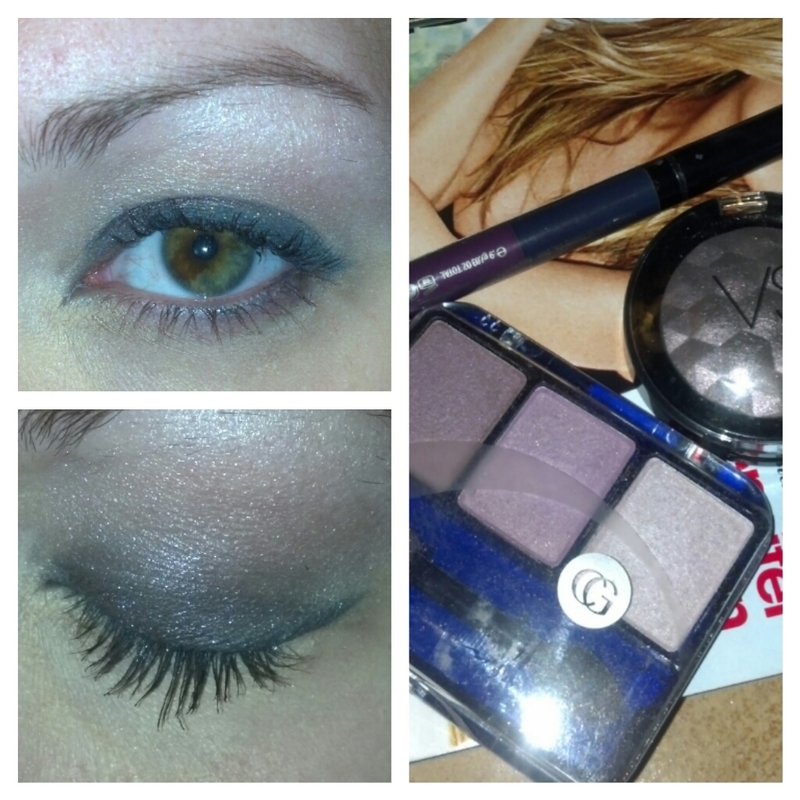 VS Metallized Eye Shadow in Buzz (a gun metal grey with purple tones). I started with VS Pro eye primer and then put the color buzz all over the lid and up towards the crease. Next I used the light purple as a highlight along my brow bone, and last used the the navy liner. I finished the look with Maybelline The Rocket in black. that color looks good on you!